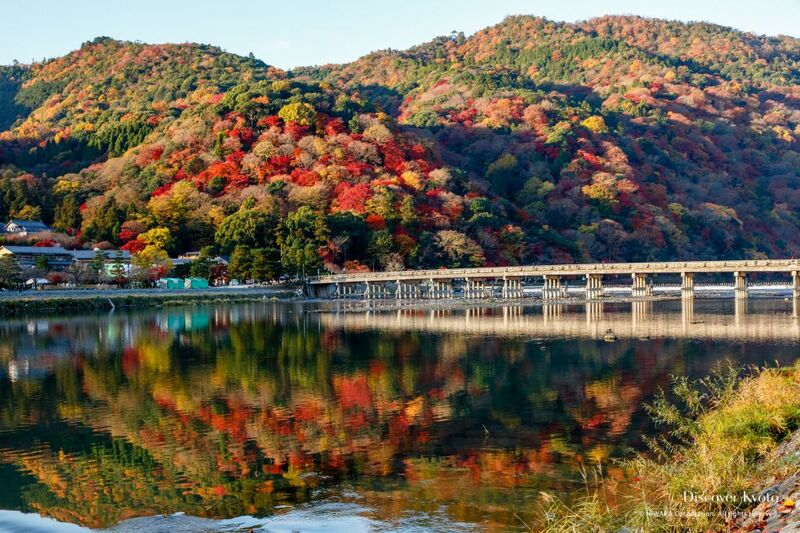 A sprawling area in western Kyoto centered around the Katsura River and surrounding mountains, Arashiyama is an extremely popular tourist spot visitors to Kyoto won’t want to miss. 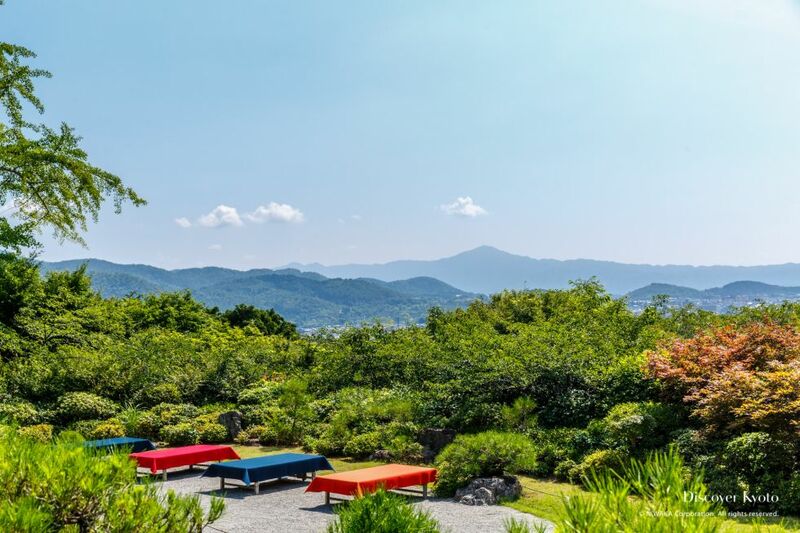 Any given day you’re likely to see people in kimono or yukata enjoying local food, shopping, and pilgrimages to the local temples. Rickshaw drivers wait to carry you to your destination, whether it be the natural beauty of the bamboo forest or the man-made temples that have stood in Arashiyama for hundreds of years. A classic symbol of the Arashiyama area, the Togetsukyō Bridge is often the first sight that visitors head to see when they arrive. Spanning the Katsura River (also called the Oi River or Hozu River depending on the area) the bridge offers a splendid view up and down the river which varies dramatically from season to season. With Mt. 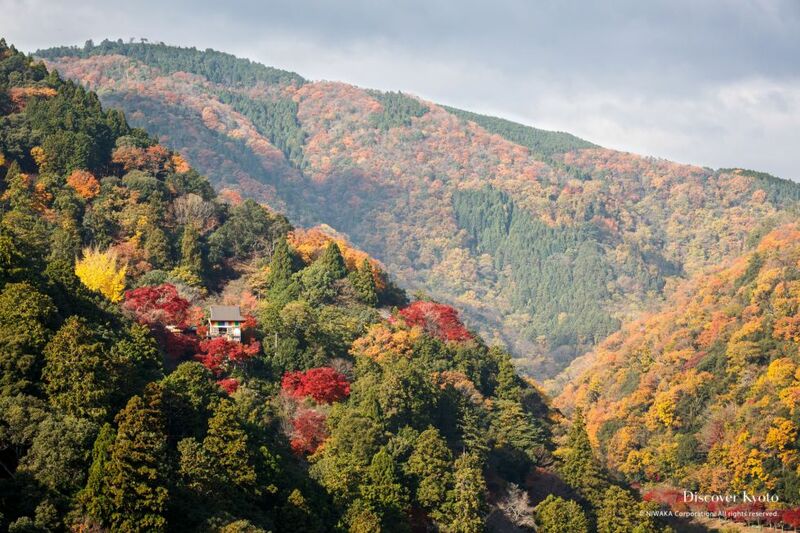 Arashi serving as a backdrop, visitors can enjoy cherry blossoms, vibrant summer greens, and colorful autumn leaves on the mountain slope. On the Oi River side you can watch people in small rental boats paddle about, or take part yourself. The Togetsukyō (Moon Crossing Bridge) takes its name from the romantic notions of Emperor Kameyama in the 14th century, who noted that throughout the night it seemed like the moon was making its way across the bridge. 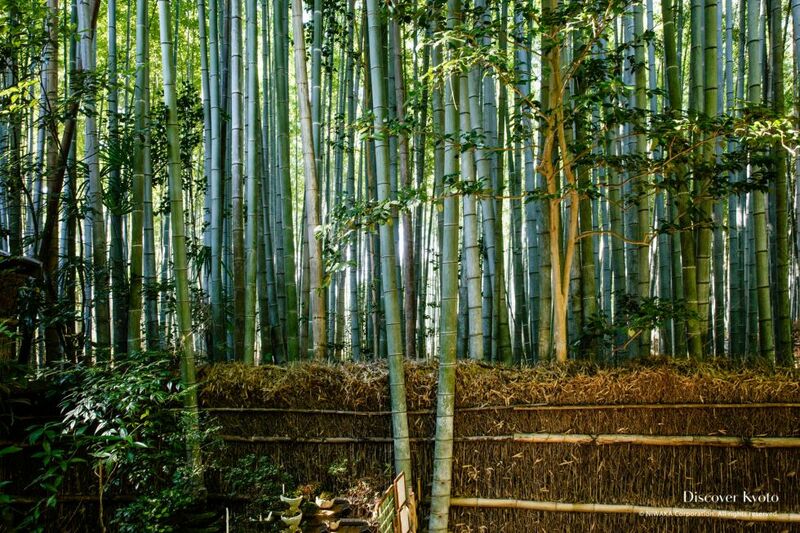 One of the most photographed sights in Kyoto, the bamboo forest in Sagano Arashiyama is a natural gem. Walking under the shade of the towering bamboo, you can feel somewhat lost in nature despite having been in a bustling open area moments before. The bamboo forest has entrances accessible from the main shopping street, Nonomiya Shrine, or Tenryū-ji’s gardens, and leads you up a slope until you arrive at the Ōkōchi Sansō Villa. Depending on the season it can be rather crowded on the path, but the wonder of peering off to the side into stalk after stalk of old bamboo growth isn’t diminished no matter the surrounding people. Some choose to take a rickshaw ride through the forest for an added experience. 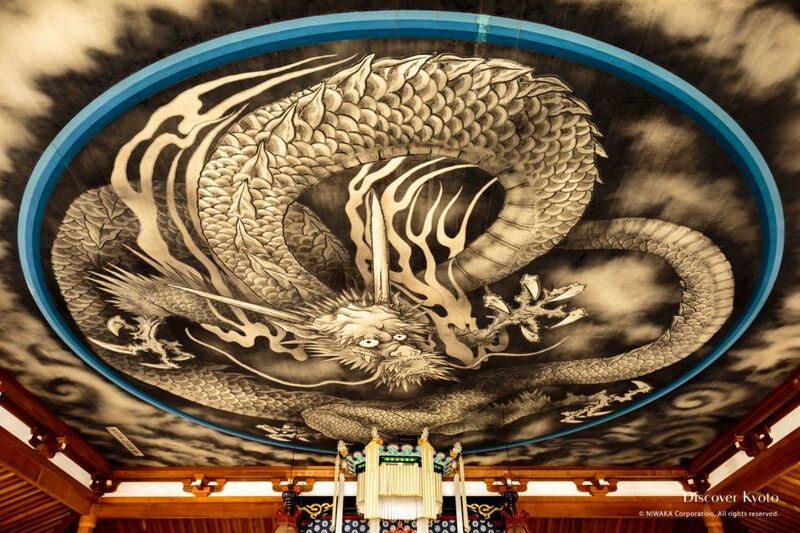 Despite its small size, Giō-ji is a worthwhile stop with an interesting history. 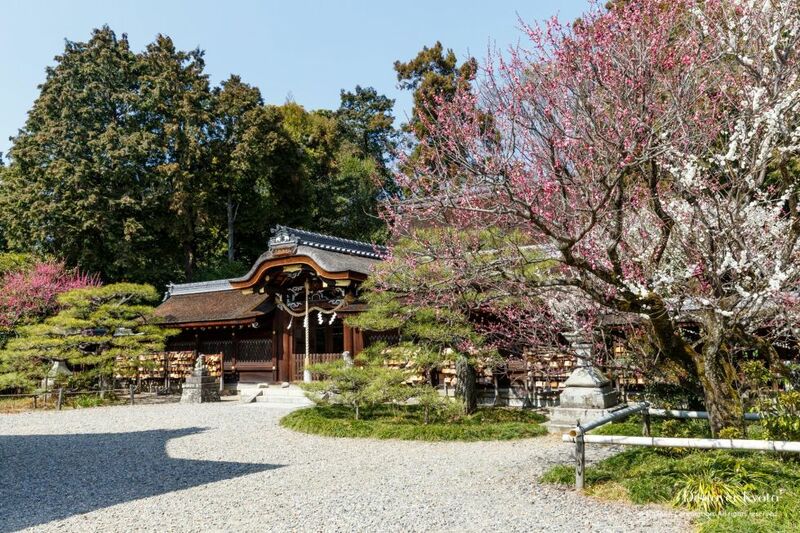 Comprised primarily of a charming moss garden and a single thatched-roof building, this temple was originally a nunnery that fell into disrepair over time until it was taken under the wing of the larger Daikaku-ji temple. 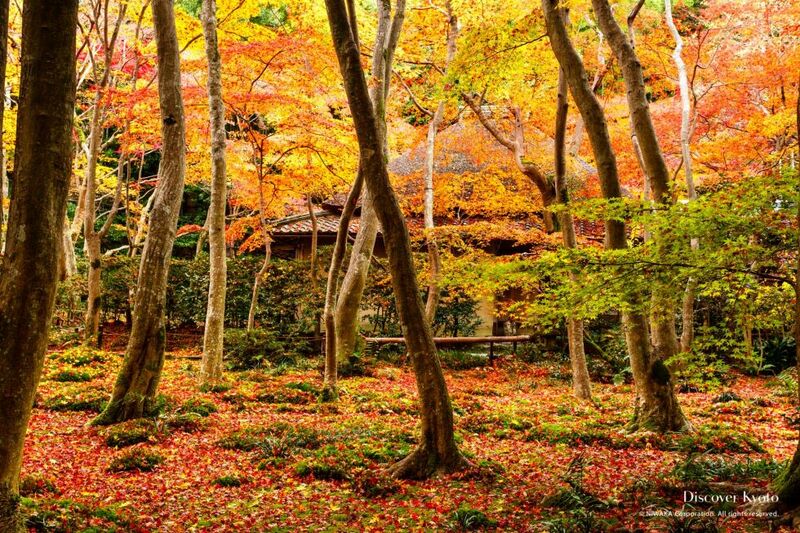 The moss garden is particularly lovely in summer and autumn, with lush green fed by the rainy season and dotted with flowers, then contrasting fall colors. A stream runs through the garden and various types of moss make up the softly marbled green surface. Within the single hall is a noteworthy circular window and several wooden statues of the famous historical figures associated with the site as well as the principal worship image, a statue of Dainichi Nyorai. 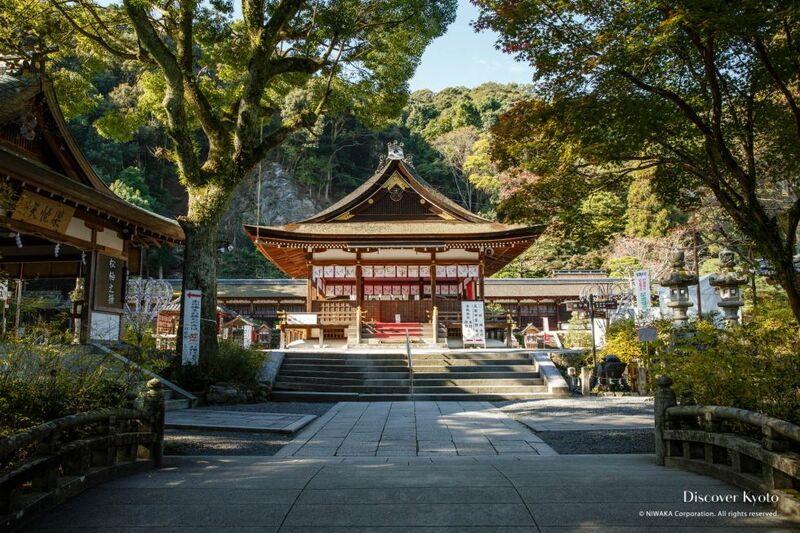 The tale of the famous Giō, who was a nun at this temple, is detailed in the classic Tale of Heike. Regarded as the first marker for the Atago Shrine on top of Mt. 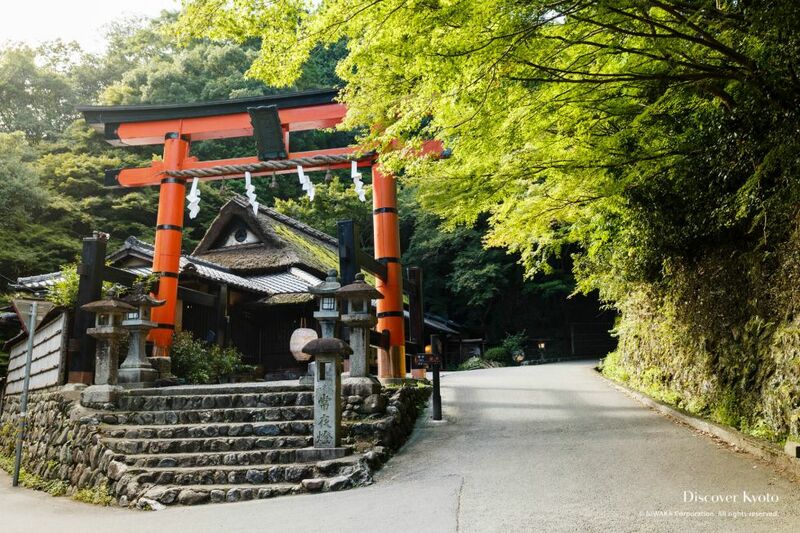 Atago, the famous Atago Torii Gate stands at a crossroads at the end of the Sagano sight-seeing trail, with one direction taking you along the foothills and the other farther up the mountain. Weather worn but still shining vermillion bright, this torii is placed between two old teahouses, Hiranoya and Tsutaya, which have both been around for four hundred years and retain their original grandeur and traditional structure. 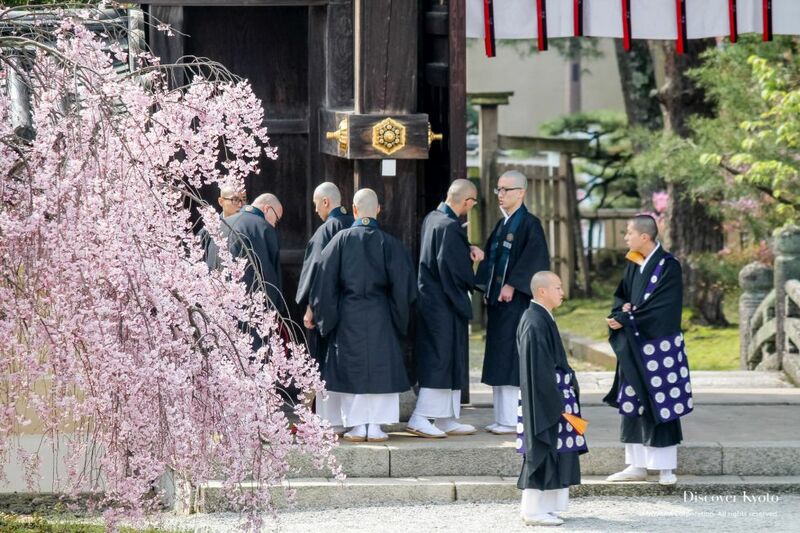 The torii gate standing tall between them makes for a lovely picture. Those who want to continue hiking up can move on to Mt. Atago, while those who’d like to rest can retire for a snack or meal inside the gorgeous interiors of the nearby teahouses. Located on Mt. Iwata in Arashiyama, the Iwatayama Monkey Park is home to a 130+ strong troupe of Japanese macaque monkeys. 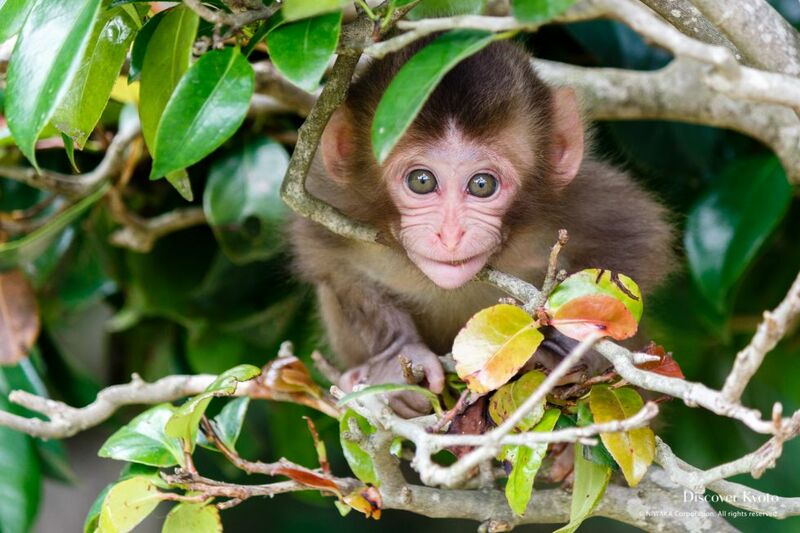 Though the monkeys are wild and live on the mountain, the research center/park is a place where tourists can observe and feed the monkeys from an enclosed hut. After buying a ticket at the base of the mountain, a 20-30 minute hike takes you up to the top, where staff will guide you to a small hut where you can sit and rest or purchase food that can be fed to the monkeys through the wires of the viewing windows. Scheduled feeding times by staff can be entertaining to watch, and you are free to roam about the park at your leisure or take a seat on one of the benches overlooking the spectacular view of the city. Just a warning, though- be careful about making direct eye contact with the monkeys! 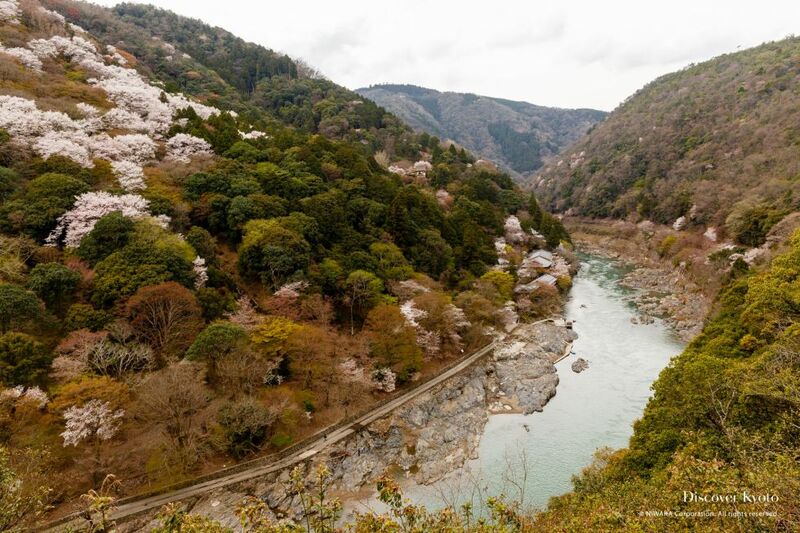 A trip to Kyoto wouldn’t be complete without exploring the city’s gorgeous natural scenery, and one of the best ways to do this is to take a short train trip to the neighboring city of Kameoka and board the Hozugawa Kudari boat ride! 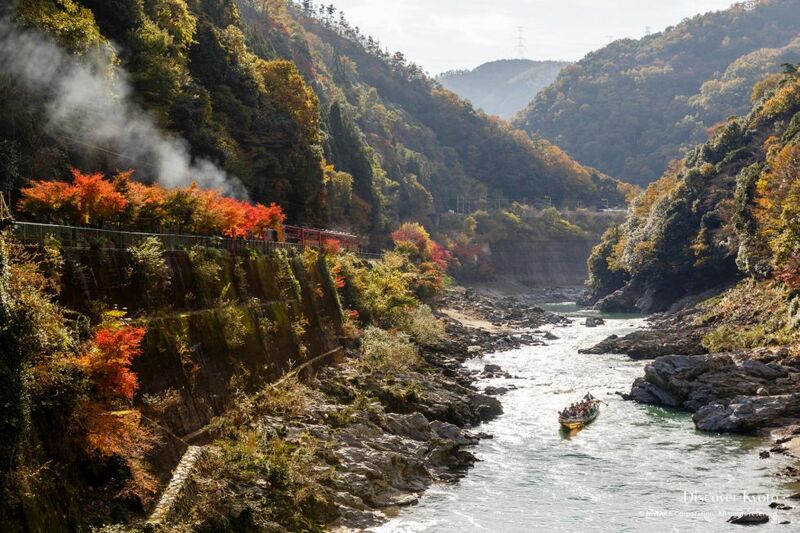 This popular river route has a rich history dating back more than 400 years and offers visitors a chance to enjoy a leisurely and entertaining boat ride through one of Kyoto’s most beautiful areas.